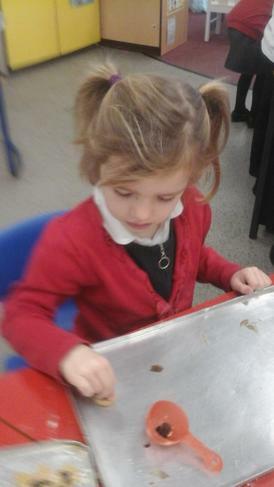 Our learning adventure began with a mission. 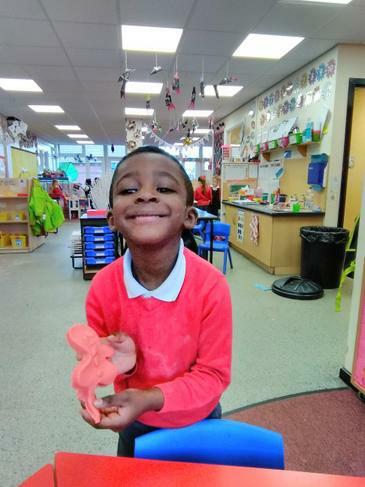 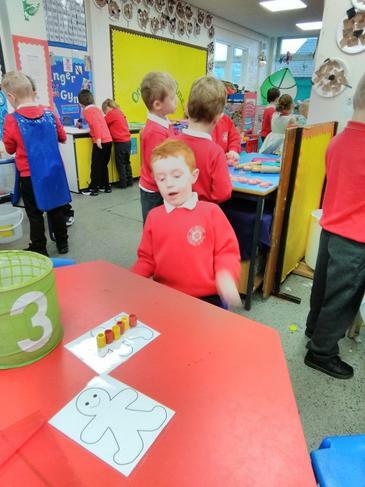 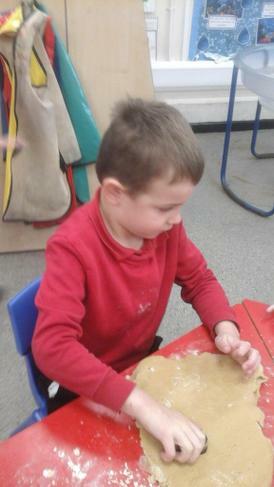 The gingerbread man had been coughed up by the fox and had managed to escape and get to our classroom. 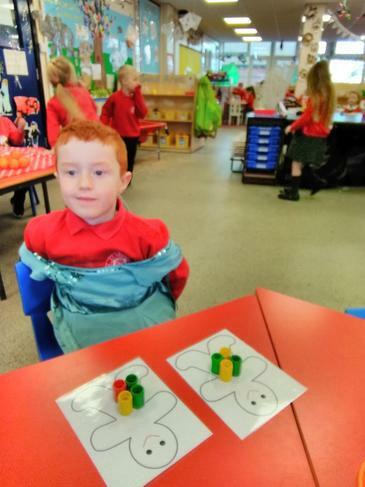 However, he was in pieces and we needed to follow the clues and stick him back together. 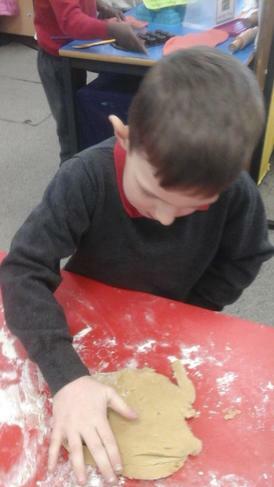 We did a super job and are looking forward to seeing what the gingerbread man brings to our classroom! 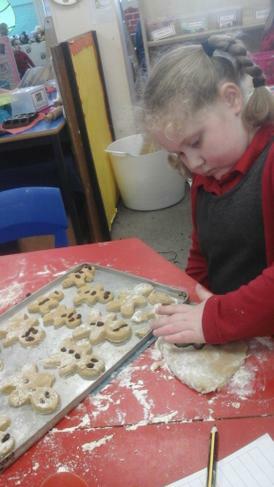 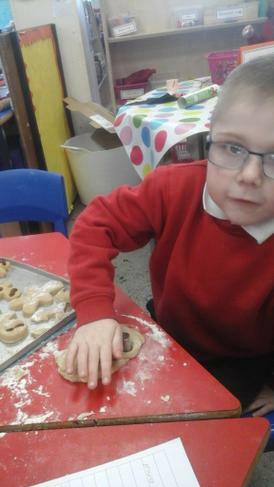 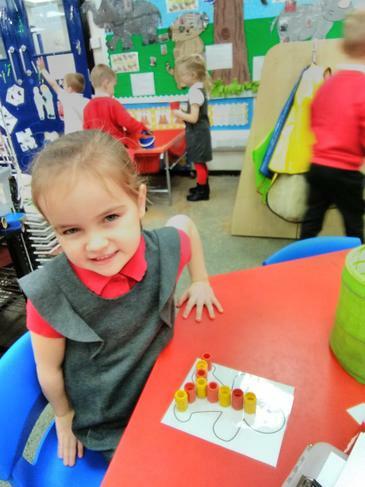 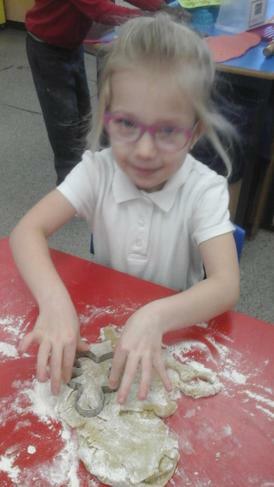 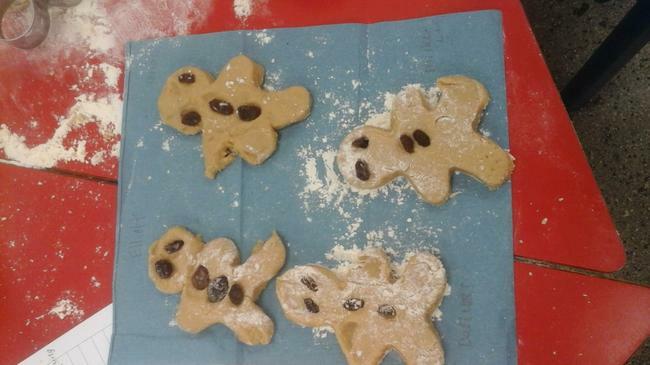 This week we have made our own gingerbread men. 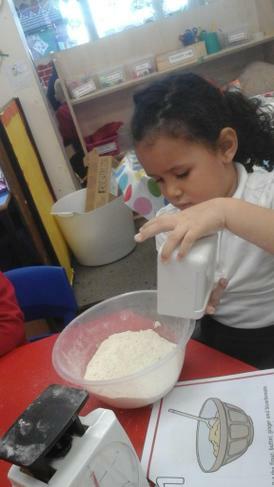 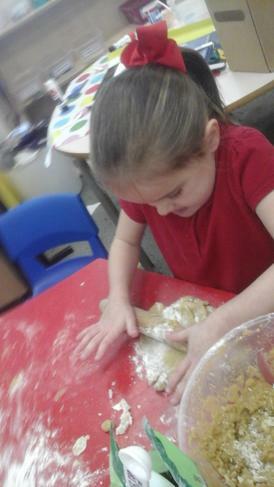 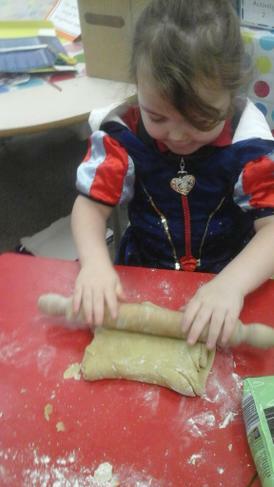 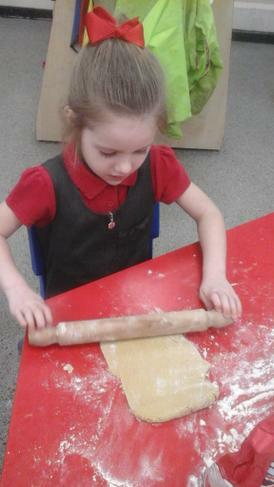 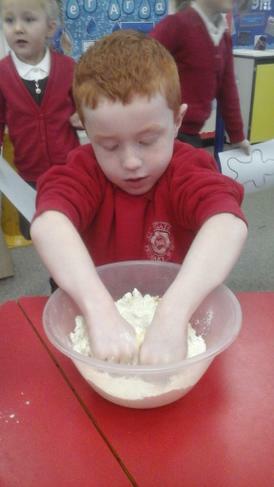 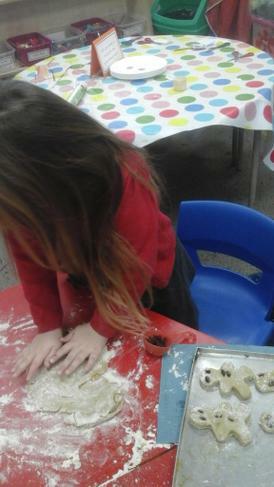 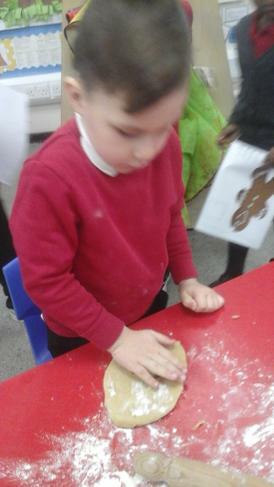 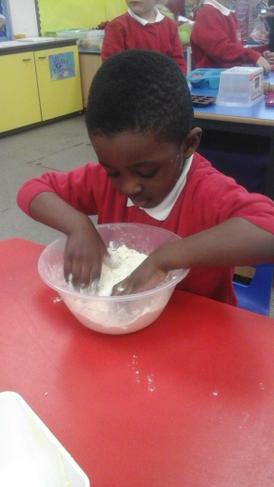 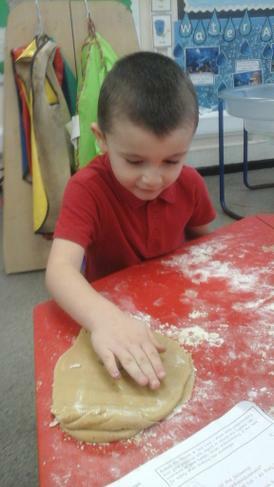 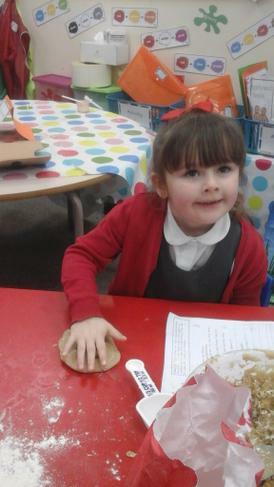 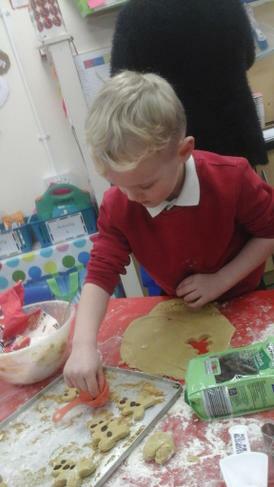 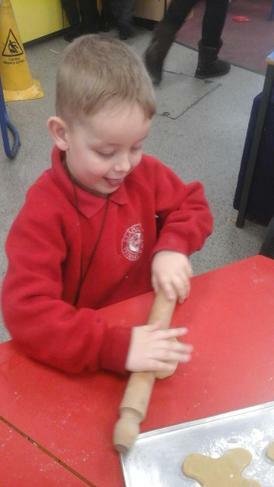 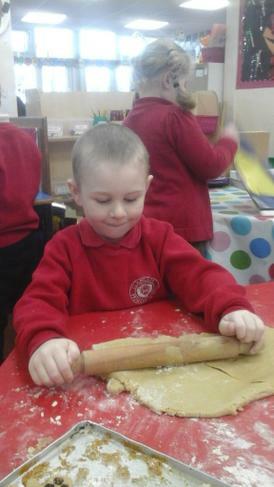 We learnt about the different ingredients needed and how to use a rolling pin. 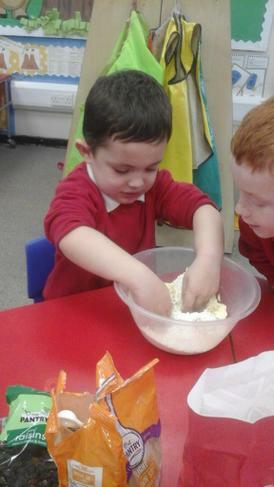 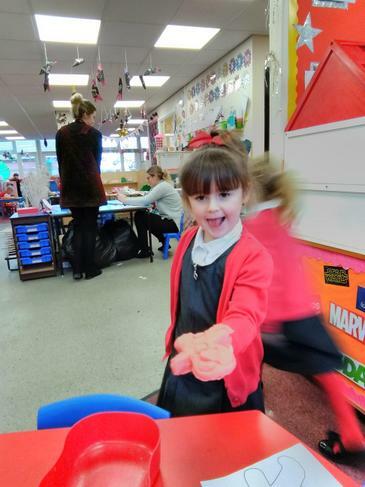 We learnt about different ways to stay healthy including; washing our hands when handling food and eating a variety of different foods. 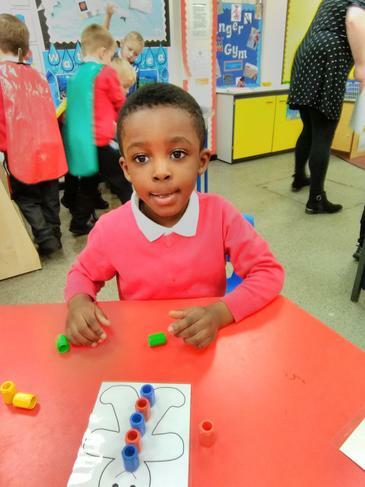 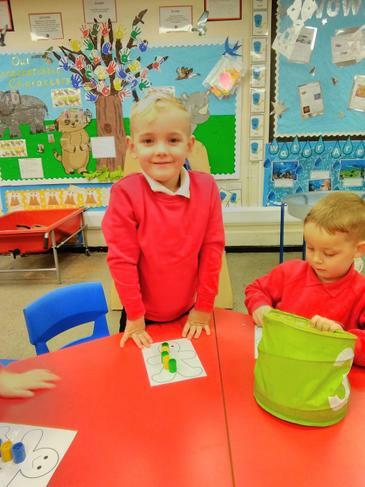 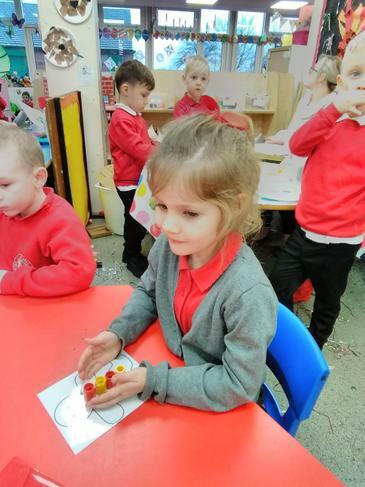 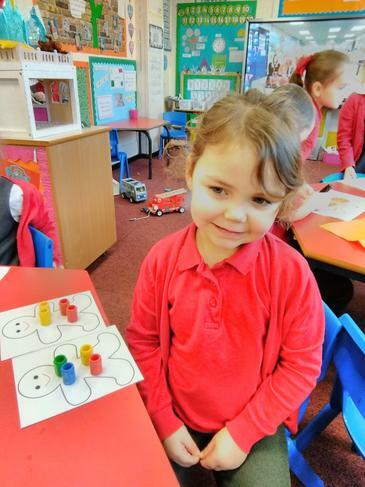 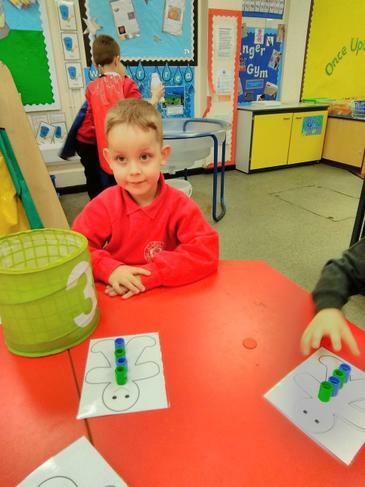 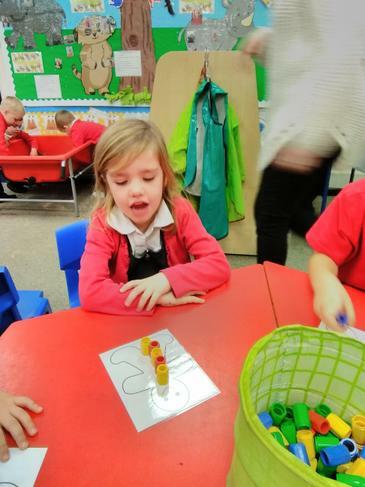 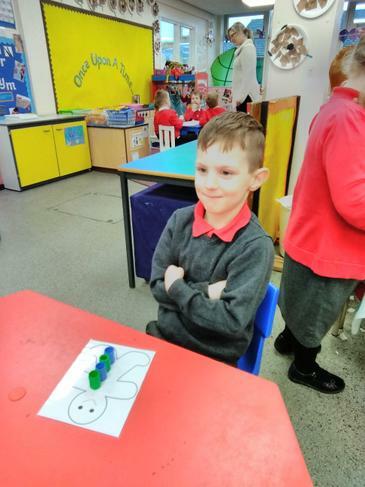 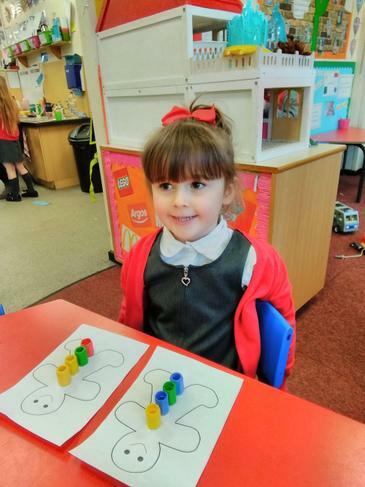 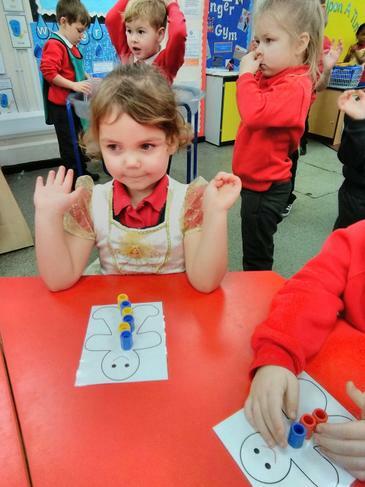 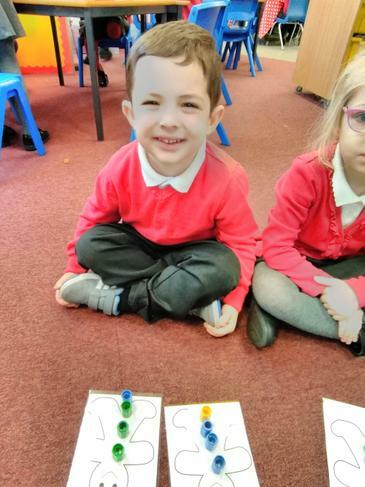 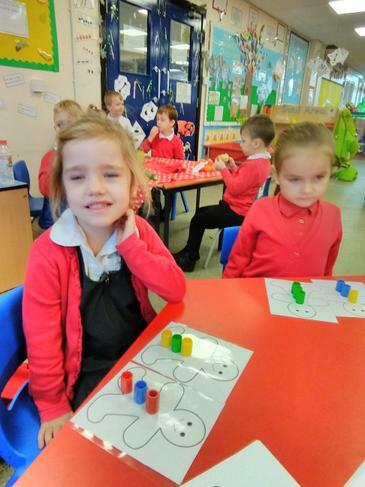 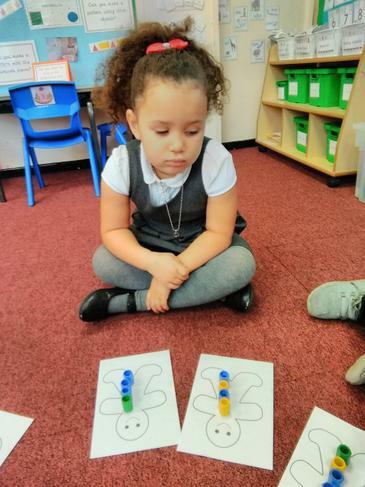 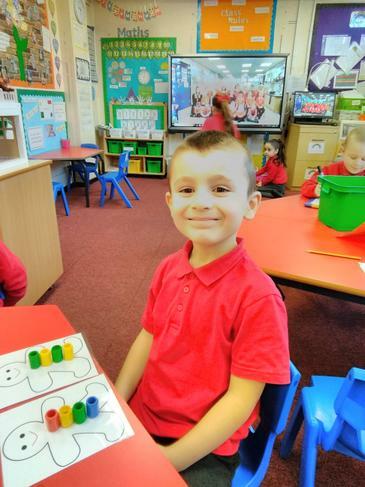 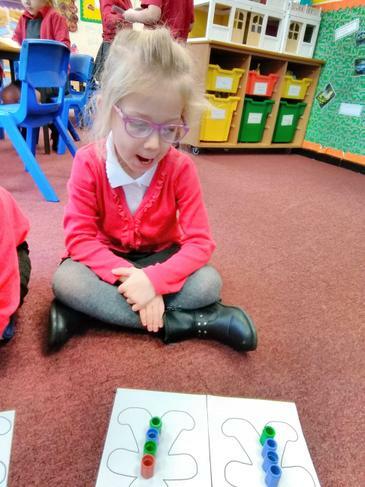 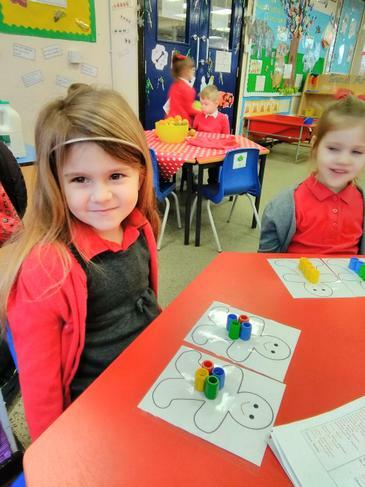 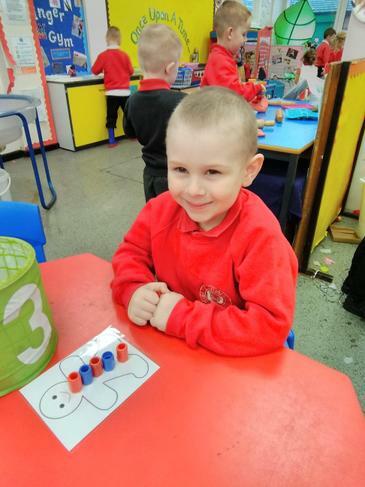 In maths this week we have learnt about the Number 8. 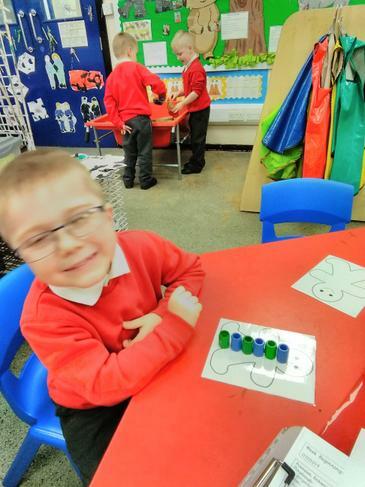 We have doubled the number 8 using cubes and we can double other numbers using the same method. 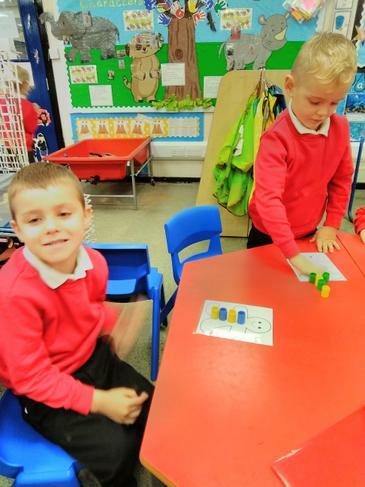 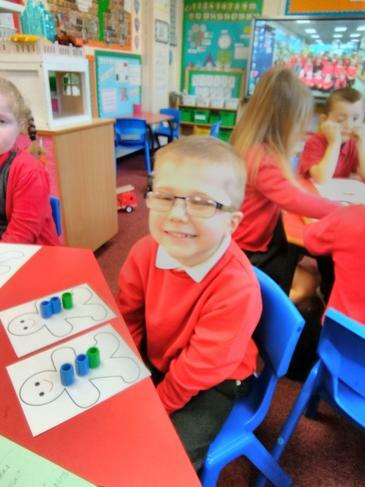 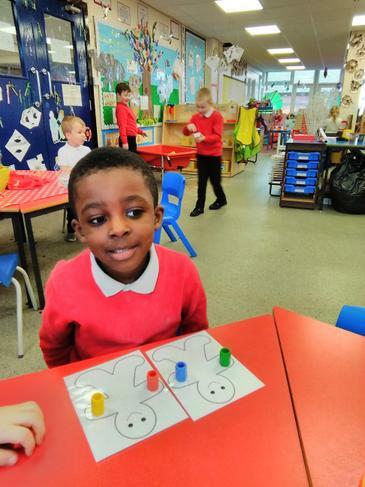 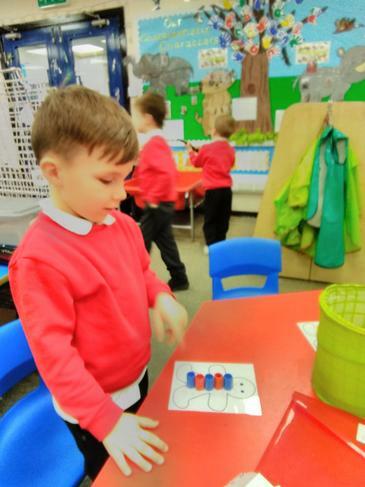 We have learnt how to halve numbers and understand that when something is halved it is split into two equal groups. 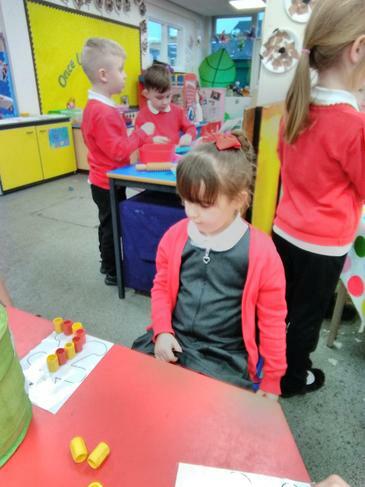 We have learnt about repeating patterns. 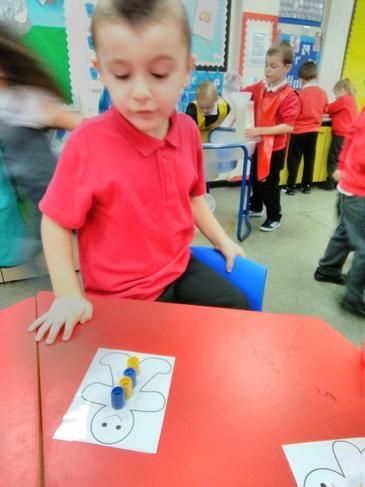 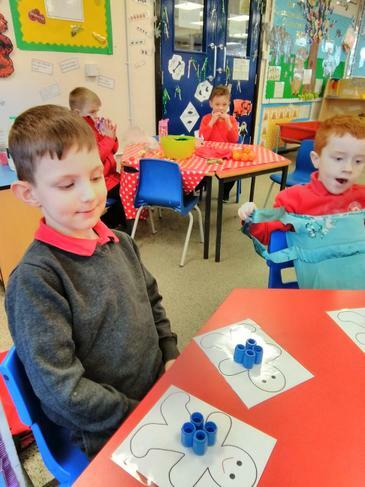 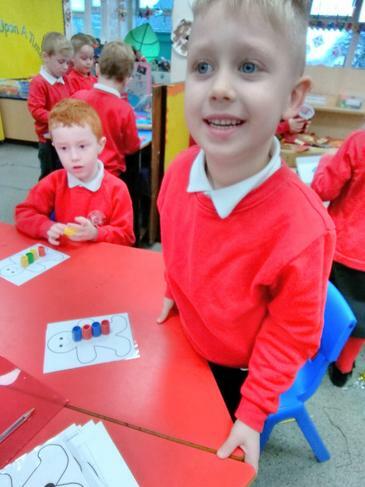 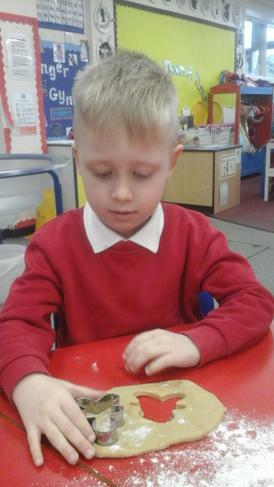 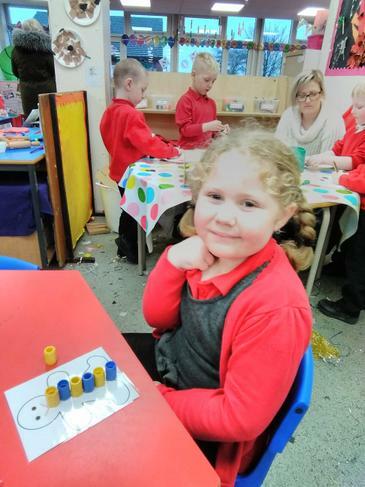 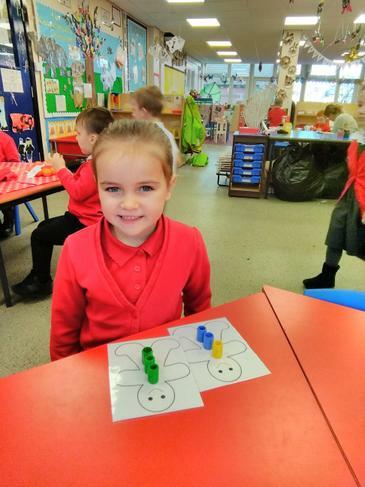 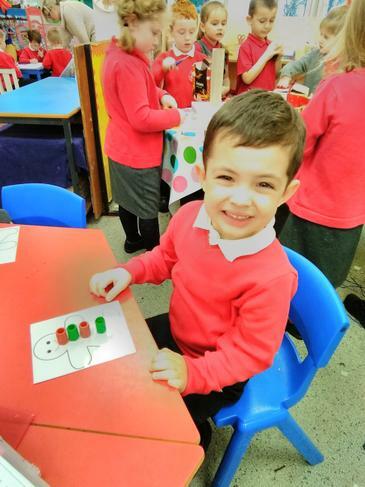 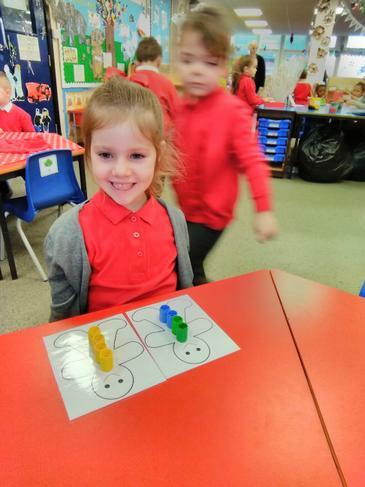 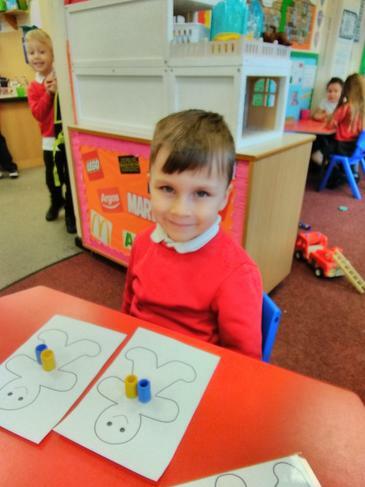 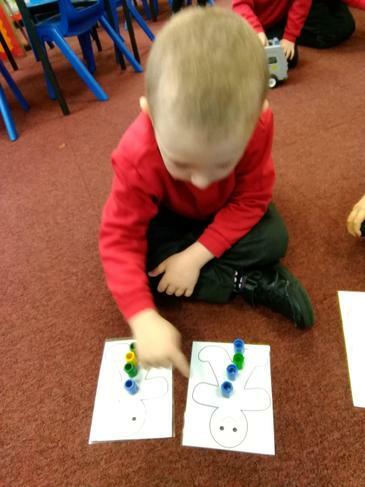 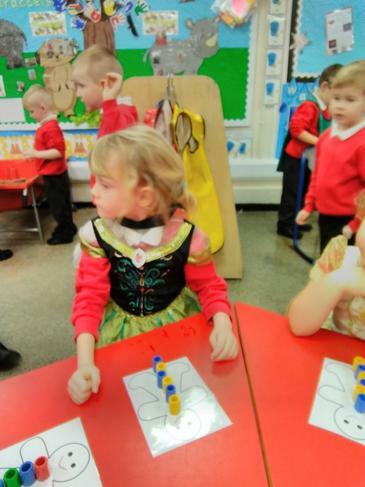 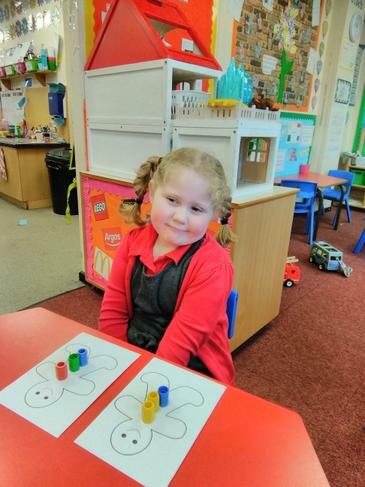 The gingerbread man had lost his buttons and we needed to give him some more buttons but we had to put them in a repeating pattern. 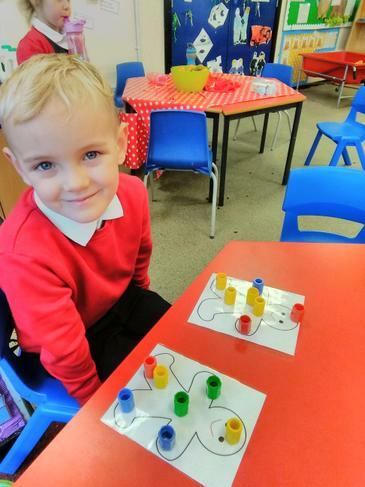 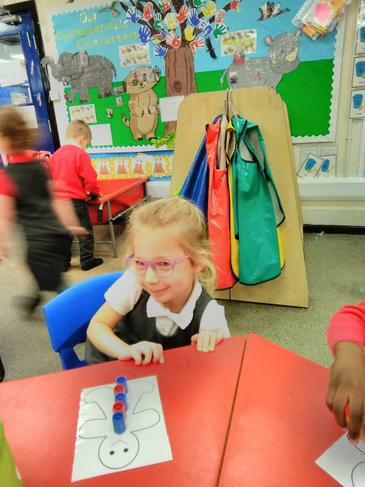 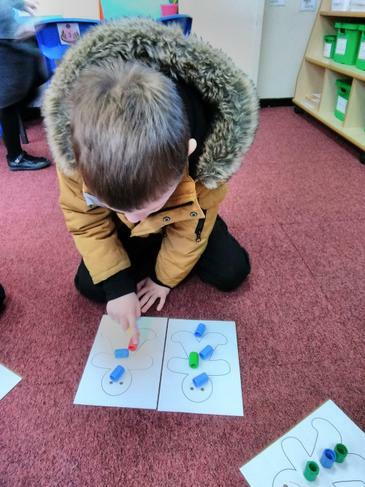 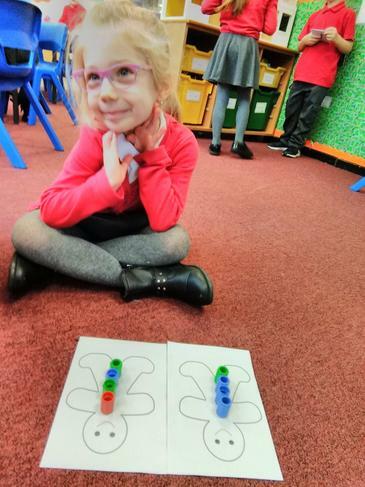 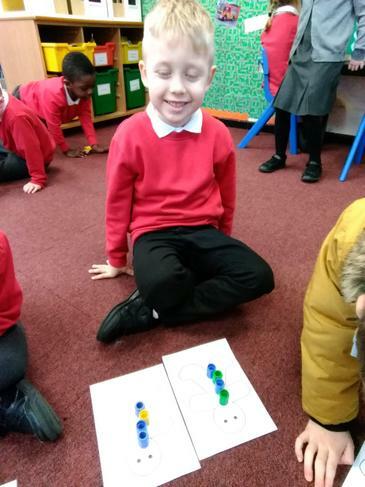 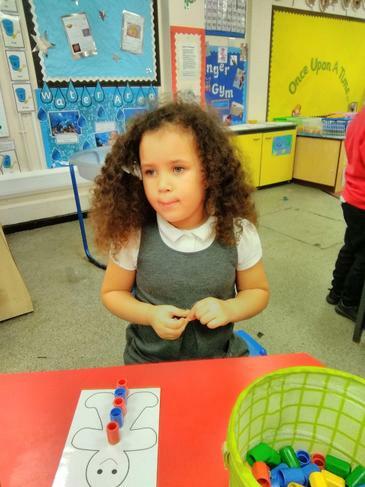 We worked with Miss Pickering to describe the patterns we made.